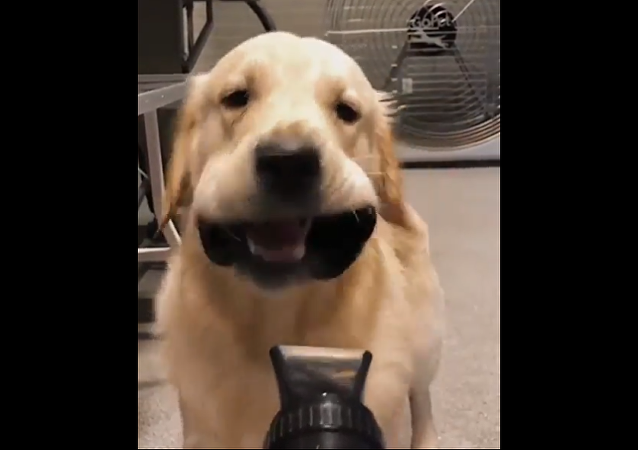 A Golden Retriever has been captured on video sitting in a pool while lowering its snout into the water and blowing bubbles - just like people do with a straw in a drink. 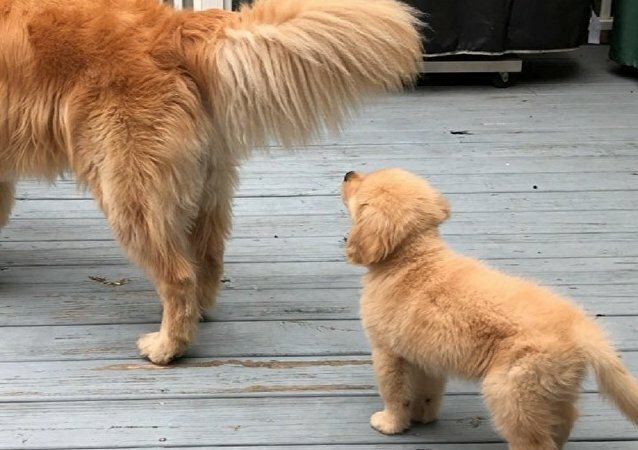 Dogs are known to be social animals, requiring lots of love and energy while using all their fluffy majesty to try to get your attention to do something or remind you that it's time to play or go for a walk. 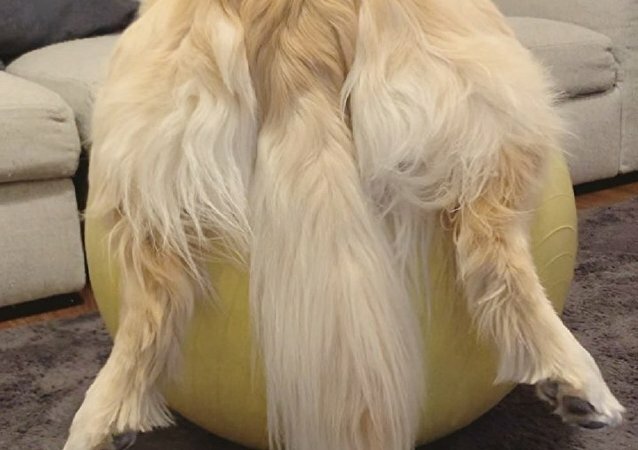 A tail is one of the most important things a dog has – cause it is the best way to show how happy and energetic they are. But sometimes it is also a very classy thing, like a fancy suit for a really furry doggo! 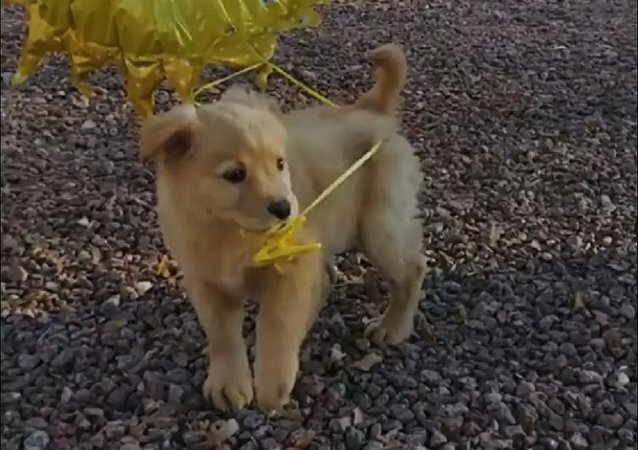 What kinds of toys are the best for a tiny golden retriever pup? Well, some doggies could easily use toys meant for human kids – and this little doggo is no exception! The balloon is flying around and the dog’s tail is wagging - the retriever is totally delighted. 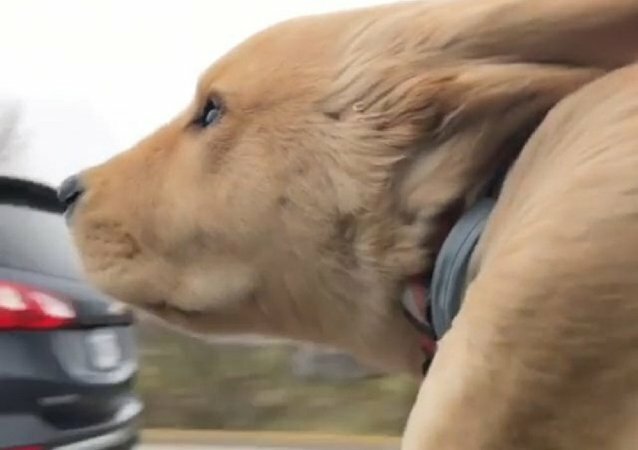 This golden retriever demonstrated an unusual skill. While playing in the water, the dog entertained itself by lowering its muzzle into the water and blowing bubbles - just like people do with a straw. 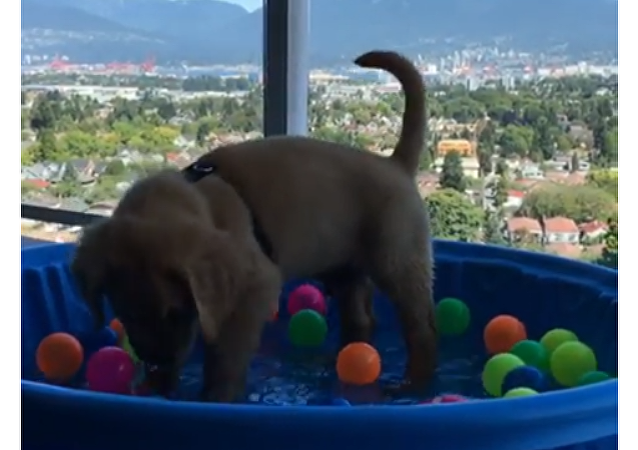 Even though the little pup is alone in an impressive inflated pool, the doggo is definitely having a good time playing with the colourful balls. Doggos are extremely active creatures that are willing to play almost with any object that they may accidentally find, be it old soccer shoes, or something even more repulsively stinky. However, sometimes they could be intentionally given something much nicer than that. 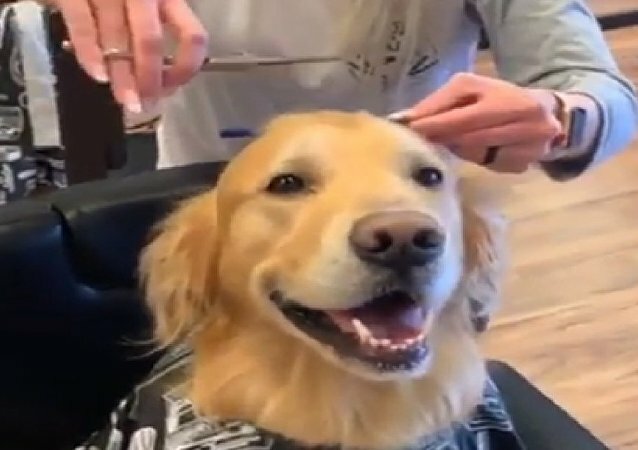 Some pet owners like to take their beloved animal friends to groomers to get pampered and have their hair trimmed, often ahead of exhibitions, competitions and shows. A golden retriever is a popular family pet that is considered to be an excellent companion and a gentle dog. In many countries, this breed is recognised as a symbol of well-being and good luck.